The “Three Dancers” make their debut performance..
Our client approached us about making three large tables that followed our classic bench style. 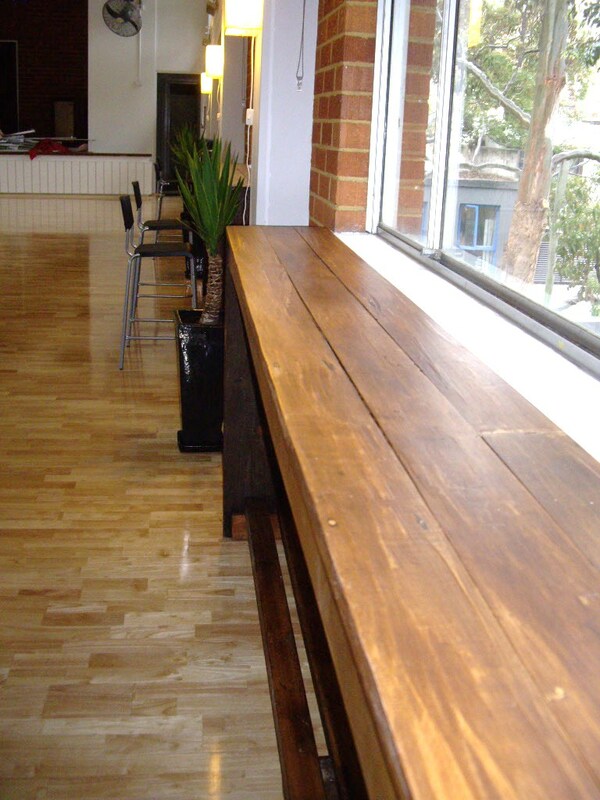 They were to be installed in a new studio opening in Darlinghurst. After some deliberation and planning the “3 dancers” where born. 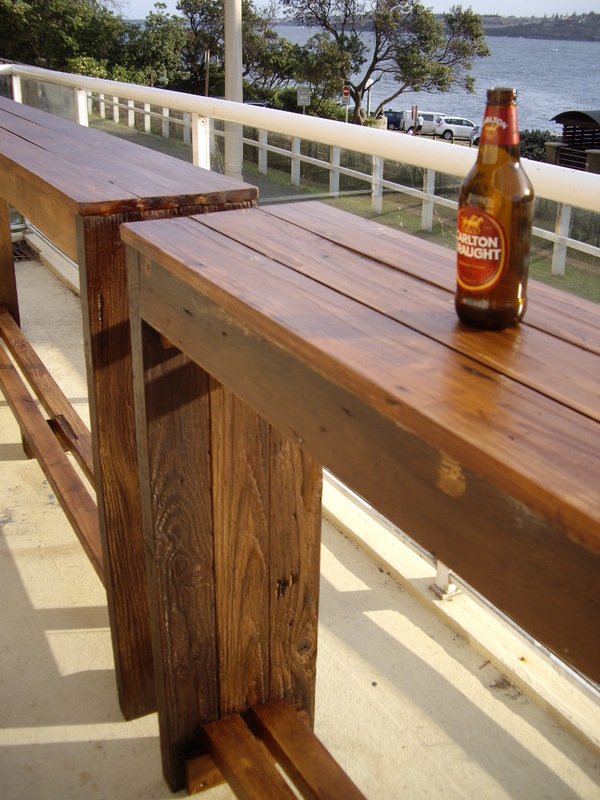 We used old redwood and cedar from two houses that where being demolished in bondi. 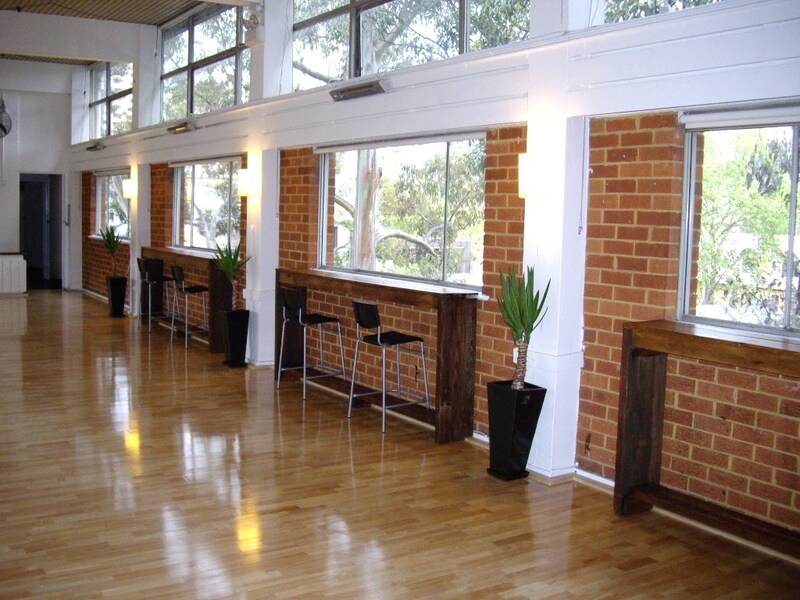 We where lucky enough to get the wood, recycled it with lots of TLC and brought these babies onto the DANCE FLOOR! The proof is in the pudding. 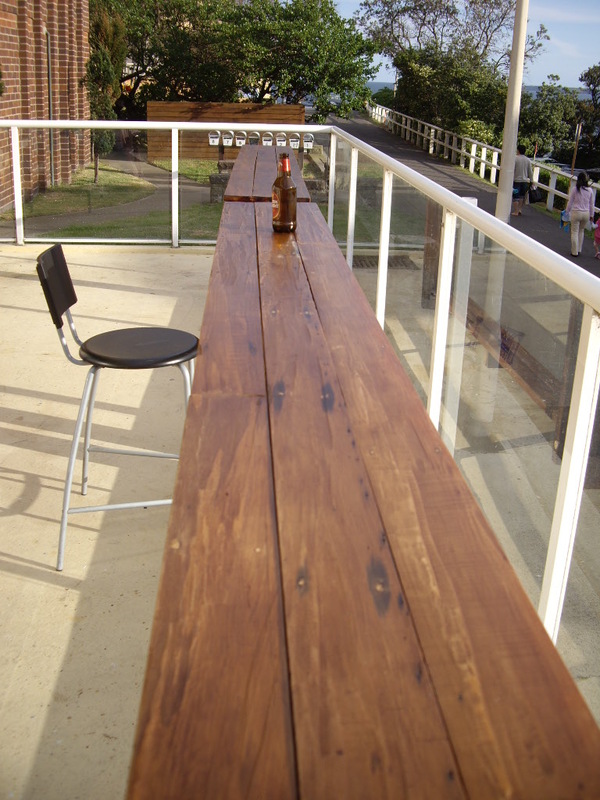 For the final finish we used three coats of teak stain & varnish and a few coats of satin polyurethane. They now will help dancers, ballerinas and whoever graces these floors to take a break relax and enjoy the outside city scenery. 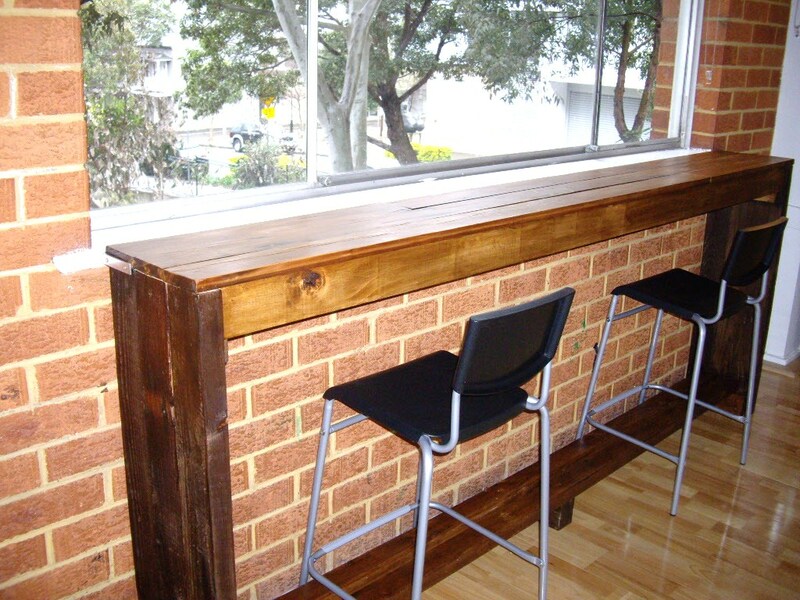 These would be great for bars, cafes, studios or maybe even your own home cafe or bar??? 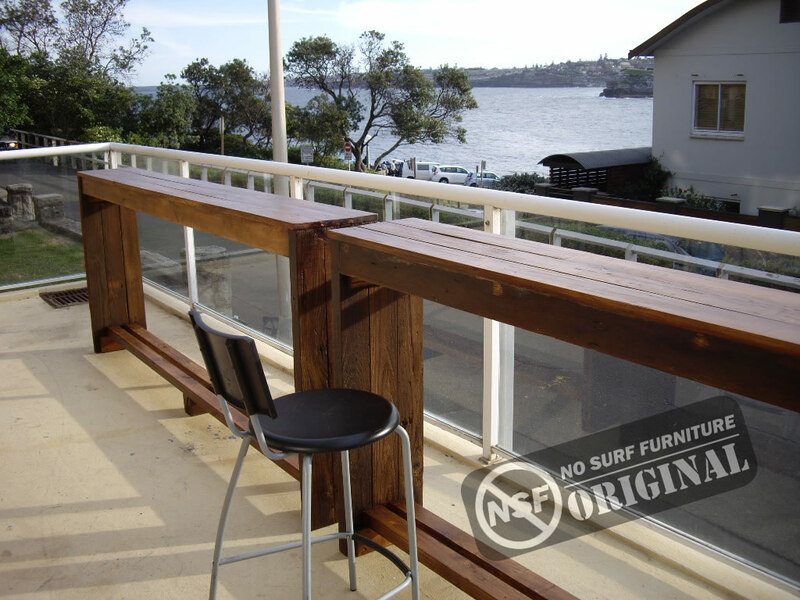 We had them set outside or studio deck in North Bondi and had many compliments from people coming by. These are VERY LARGE tables. 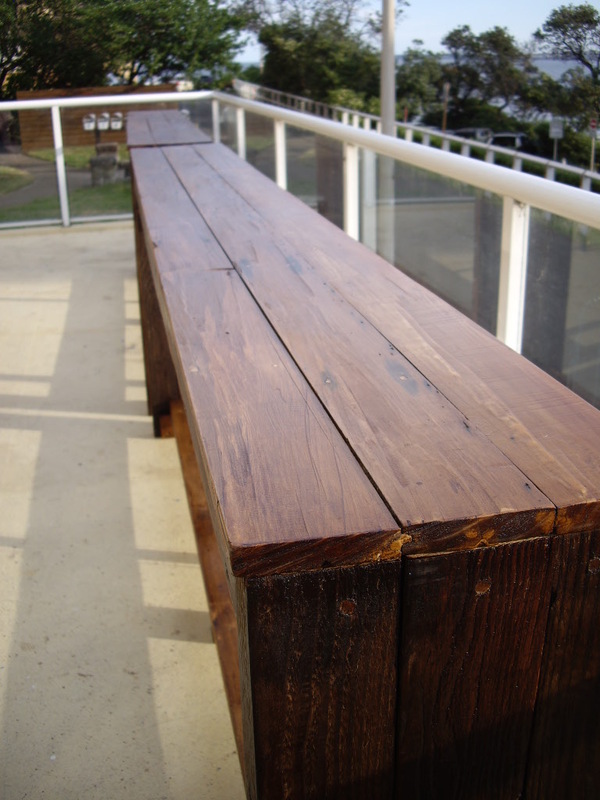 Dimensions are as follows 2.5 m long * 100 cm high * 30 cm wide. 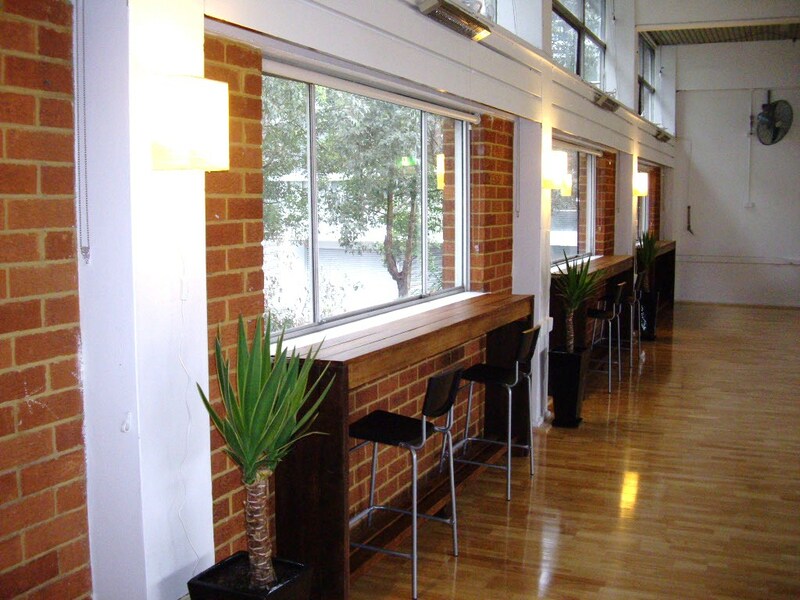 We also did the installation on site custom fitting the tables to the walls for added strength and security. Retail price $999 plus depending on size.